My favorite addition to Iron Fist season two was Alice Eve’s Mary Walker, who shouldn’t be related to Patsy. The comic origin of Mary comes from the Daredevil comics as Mary Walker is the real name of super villian Typhoid Mary, an assassin hired by the Kingpin to kill Daredevil. 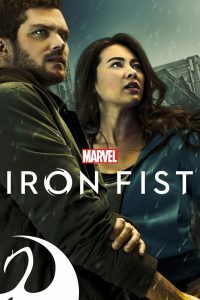 In the comics she also has dissociative identity disorder, where her villainous persona is a telekinetic and pyrokinetic, but we don’t see that in Iron Fist. Alice Eve is magnetic in the role and is worth watching just for her. And they just announced the next season of Daredevil for next month. October’s looking good.